Last week my husband and I celebrated our 17th wedding anniversary. I have often thought that one of the keys to our marriage has been our similarities, such as when one spouse suggested dumping our house to be nomads for several months and the other said, “I was thinking THE SAME THING!” See what I mean? You gotta be on the same page for that whack. Case in point: The anniversary grill. This year we decided to get a grill as an anniversary present to ourselves. Somehow that icon of backyard suburbia had eluded us lo these many years. So my husband sprung into action, went to Home Depot and came home with a grill. One minor problem. 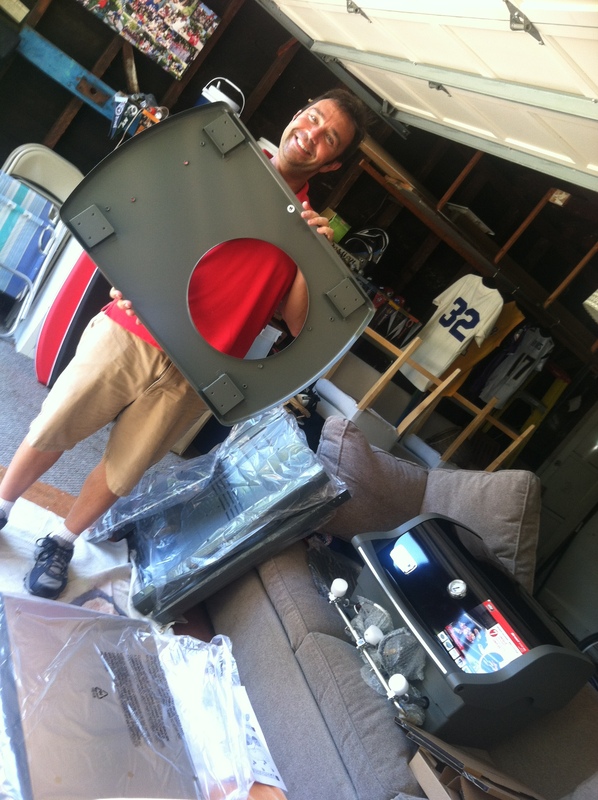 A pre-assembled grill would not fit in our small trunk, especially not with two boogie boards left in the trunk. Oops. That’s the point when I would have said “never mind, maybe we’ll grill next summer,” or “let’s pay for delivery.” But Christopher, undaunted, bought an unassembled grill, opened the box (because even that box didn’t fit in the car), put all the separate pieces in the trunk, and brought it all home. 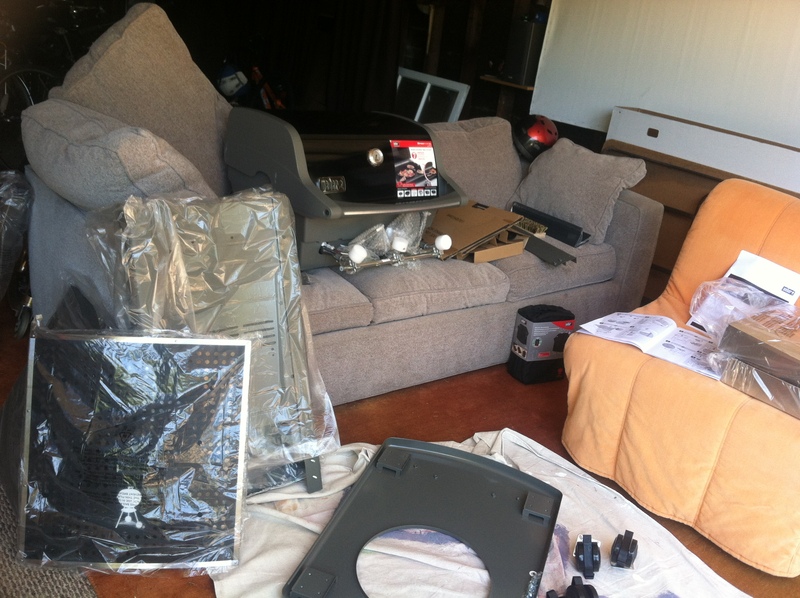 He got home, we unloaded the parts, and everything was still hunky-dory. Until he took a look at the instructions. “Please don’t die,” I said. Bravely he went outside. I stayed close to the phone ready to dial 911. All was well. The next night we ate burgers and hot dogs surrounded by the family that had raised me to call experts for engineering feats (like lightbulb replacement), and we basked in his glow of utter competence. A keeper, this one.